najeebsa | Hi there! I’m a modern day ‘Charles Lamb-in-South Sea House’ by day, aspiring writer by night, and this is my blog. Currently I live in Abu Dhabi (UAE). On our return journey from school in the afternoons, by the time the paddy field came into view, my class mates would part ways heading straight, leaving me alone before the green meadow. On the left stood a plateau which one cannot exactly call as a hill, but high ground at most. On either side of the ground stretched long rows of sesame hulls, left overs of the actual crop. Once the rainy season has ended, there grows some crop or the other every year. Someone will lease the land for cultivation from the Jama’at committee each year. At the slope on the other side stood a small building with a dome on its top which served as the primary religious education centre, otherwise known as the ‘othupalli’. Early each morning, before school, children would come to the ‘othupalli’ to read tongue twisting verses from the Holy Book. While the children recited the verses in a chant-like intonation, their teacher, ‘mollakka’, would walk around observing his students closely, as he turned in his hand the soft round surface of the cane over its entire length. ‘Mollakka’ would allow each student a time-frame to learn each lesson. At the end of the cut-off period, each student was expected to recite the lesson he or she had learnt. Oftentimes ‘mollakka’ did not spare the defaulters, nor did he consider giving them a second chance, and the cane would swing into action making an ‘uff’-sound as it whipped the air before it landed on its target. Mollakka’s wife, Pathumma thatha (thatha: elder sister) had already borne eight children and awaited the arrival of the ninth. There were hushed whispers doing the rounds among the children in the ‘othupalli’ that Pathumma thatha only had to be sleeping anywhere in the house where Mollakka’s path crossed and the outcome would be evident in nine months. Behind the ‘othupalli’ lived the ‘boogeyman’ in a make-shift shed outfitted with bamboo poles and braided coconut leaves that stood firm challenging the howling north wind and the heavy downpours. As a matter of fact, Omar kakka (kakka: elder brother) was mollakka’s younger brother. The reason why he was referred to as mad-Omar remained beyond my comprehension. Omar kakka was a tall lanky man with a thick crop of salt and pepper hair that he cut himself to the shortest possible length either using a razor blade or a quarter inch narrow, multi-purpose foldable pen knife with a ceramic handle. The slightly angular shape of his frame gave most people in our village the wrong impression that he was a hunch-back. Even those who knew that he was actually not, later convinced themselves he was one. Omar kakka was always dressed in a thin cotton towel that covered his body from his waistline to slightly below his knees, which also revealed his striped under-garment. He bathed several times a day in the near-by canal wearing the towel he always wore; perhaps that was the only piece of clothing he owned; perhaps he hung it out to dry at night when no one was around. He hardly spoke to anyone and seldom moved out of the area surrounding the ‘othupalli’. But whenever he did, he carried with him a back-pack made of jute. Children spoke among themselves in muted tones that he would drug little children, dump them in his back-pack and sell them to gypsies in far-off places who forced them into begging. Generally he cooked for himself. His kitchen utensils consisted of three rock splinters of even height, a round aluminium vessel with a narrow neck and a wooden spoon. He prepared everything, from steaming tea leaves to boiling rice, using this paraphernalia. He cooked meat only once or twice a year, a luxury he owed to my father. As a memorial service to Prophet Ibrahim’s commitment to God by almost sacrificing his son Ismael, every year on Eid-al-Adha, our neighbour Kassim Rawther sacrificed a lamb in his backyard. Eid fell on the 10th day of the month of Dul-Hijjah per the Arabic calendar. From day one of the month until the Eid prayers were over on the 10th day, Rawther would neither manicure his nails nor shave or trim his hair, which formed part of the rituals relating to his intention to sacrifice the animal. After all the children in the neighbourhood had assembled in his backyard to witness the sacrifice, Rawther would tell us that it was only the sanctity of his intention that mattered to God, and not the flesh or blood of the slaughtered animal. Once his brief lecture concluded, ‘mollakka’ would take over by chanting prayers while he approached the sacrificial animal. Rawther’s youngest son, Ajmal, by far the fairest among us all, with wavy brown hair and steel grey eyes would feed the goat a few jack fruit tree leaves and water, its last breakfast. ‘Mollakka’ would then grab the lamb by its jaw and thrust the sharp blade of the large kitchen knife into its jugular. What fragments of thoughts could have flashed through the animal’s mind, if at all it had one? Would it be able to relate to the fact that its own sacrifice is the noblest way of reaching out for an altruistic purpose? Admittedly, the gush of blood from the lamb’s severed neck was not a delightful spectacle to witness, yet on the morning of every sacrificial Eid I went to Rawther’s back yard with the other children. When I’d hand over the offering to Omar kakka, I always noticed that the veiled shadow of anger would disappear from those piercing eyes. Was he feeling obliged, to me, or to my father, or to Rawther or to the sacrificed goat? This life isn’t for everyone, because it is harder on some than it is on others. At times, some mischievous children would dare Omar kakka by pelting pebbles at him. On most occasions, he did not respond. Whenever the children imagined that he had looked up angrily at them baring his sharp front teeth, they would call out ‘mad-Omar’ and run as fast as they could. Every morning ‘mollakka’ would give Omar kakka a one rupee coin to cover his daily expenses. It was rumoured that Omar kakka had attended some ‘family planning’ camp in the adjoining state and undergone sterilization. In exchange, he had become richer by three hundred and fifty rupees and a plastic bucket, both of which he handed over to his elder brother. Was the new orange bucket found near the well where the ‘mollakka’ and his students performed ‘ablution’ been part of the bargain for Omar kakka’s manhood? People gossiped that ‘mollakka’ never did any favour to anyone, not even to his siblings. On most days when I opened the tiffin box that Nachiamma, the maid servant in our house, had packed for me, I felt like puking, as I recalled her short thick fingers and square nails under which were accumulated globs of dirt. But I never complained to my mother. Nachiamma was quite old. She walked with a slight tilt to her left and her eye sight was failing. She formed part of the dowry my mother had brought along after marriage. In her present state of health it was unlikely that anybody would be generous enough to employ her. Fortunately I found a culvert with only a couple of loose rocks in place of its long-standing parapets right before I reached the paddy field. On school days the culvert would gobble up my emptied tiffin before I reached home. Children in the village considered Omar kakka as a boogeyman. Some women even used Omar kakka’s fictitious reputation to intimidate their children when they refused to eat or go to bed on time. However, it did not keep me from being overtly curious. When I first prowled the surroundings of the ‘othupalli’ he did not even glance at me. On one occasion I caught him outside, beside a neem tree. He was brushing his teeth with a neem’s stem after his after-noon nap. I appeared to have caught Omar kakka off-guard because children never approached him at such proximity. When he smiled, I noticed his yellow teeth. “Are you not afraid”, I could read his question between his raised eyebrows. When my response was a cautious smile, he too smiled back showing more yellow teeth. I stopped emptying Nachiamma’s lunch under the culvert. Now that I was familiar with his routine, the next day I arrived early while he was snoring in his nap. I left Nachiamma’s lunch packet beside his rock-splinter-oven. The successful execution of my strategy lasted only two more days. On the fourth day when the sleeping Omar Kakka’s hand extended to reach my arm, I almost screamed, and I felt all the blood from my face had drained out. He had caught me red handed, yet that broke the ice. As I became a regular at his lodging, Omar kakka found Nachiamma’s lunch more sumptuous than any meal he had ever tasted. After he’d washed up, he would light a ‘beedi’, or rather a half-‘beedi’ most of the times, and then begin our story-telling sessions. Omar kakka turned out to be a universal story teller, be it the emergence of Cleopatra out of the carpet-roll before the invading Roman general, or tales of local heroes/heroines, his tell-tale sagas would transport me through unheard of horizons across the vast Arabian and Persian deserts. Among them all, the one I loved most was the story of Sohrab and Rustom. When the story began to unfold through the coarse but unpretentious voice of Omar kakka, the labyrinth of high land, rows of sesame hulls, ‘othupalli’ and the green meadow slowly disappeared from my line of vision. The armies of Persia and Turan were preparing for battle. To avoid massive bloodshed and regain the confidence of the Turan army, Sohrab decides to fight Rustom in single combat. Sohrab knew that his father’s name was Rustom. Yet, he was unaware that the man he was going to wrestle with was his father. The father and son fought each other for what seemed like an eternity, neither knowing the true identity of his challenger. As the bout proceeded it began to wear down the older man. In Persia he was a legend in his own right. Fearful about his reputation, he wanted to end the fight quickly, and stabbed Sohrab straight through the heart. It was then that Rustom identified the necklace on Sohrab’s chest: the same necklace that he had given to the princess before he left her kingdom with his missing stallion several years ago. He had also made her promise that if she bore him a boy, she would ensure that the boy wore the necklace as a token from his father. Upon hearing of the untoward fight between the father and the son, Sohrab’s mother rushed to the battle field; however, she arrived too late. Heart-broken, she could only watch through teary eyes her son lying dead in his grieving father’s arms. Only when Omar kakka’s voice had fallen silent did I return from the castles of sand to the ramshackle living quarter of my story teller. When I returned home that evening I felt my entire body burning. My mother found my eyes were drooping, and came close to feel my forehead and throat. She told Nachiamma to prepare some chicken soup for me, and asked my father to take me to the indigenous doctor in our neighbourhood. Gopalan kaniyan, diagnosed me with chicken pox. The following three weeks I was confined to the bed in the smallest room in our house between the master bedroom and the dining area. The only window in the room opened to the pathway that extended to the entrance of our house. I watched people’s feet, cat’s paws, and bicycle tyres moving across through the three-inch rectangular gap at the bottom of our gate. The vesicles on my chest, hands and legs burst as I scratched them with my finger nails, eventually extending the healing period. None except my mother dared to come near me for fear of catching the contagious illness. As I lay alone in the bed staring at the wooden ceiling through the thin grey veil of incense smoke, I thought of Omar kakka. Omar kakka was a lonely soul living all by himself in the wilderness of the high ground. What would he have eaten without being served Nachiamma’s tiffin? Lately, Omar kakka had started standing outside his shed awaiting my arrival. Was it only for the food I brought in the tiffin box, or did he secretly cherish the moments of togetherness he had not experienced for a long time. May be he was hoping to reap what he didn’t sow. On the morning of the first day to school after my illness I noticed ‘mollakka’ standing with two other men in front of the shed where Omar kakka lived. As I was already late for school I ran off without bothering much about what those men were doing outside Omar kakka’s encampment. The sky was seamless, but the orange from the twilight was eating up its blue. With ‘mollakka’ no one could tell, yet from behind those impassive muscles lining his face something sober began melting into his eyes. I did not know how to respond. I ran across the paddy field towards home. I did not go to the kitchen for the usual banana fry and glass of milk Nachiamma would have kept ready for me. But no one noticed. I threw my books over the small study table and tried to sit there alone for a while. My mother walked past the veranda before the study room. I was afraid she would ask me whether I had had my malt drink. I felt restless. I walked towards the backyard and sat over the wooden plank of the swing hung from the tamarind tree branch. I was experiencing the pain of losing what I had liked very much for the first time. It was not that I always got what I had wanted. But until now I had never been in a situation where I lost something that I had treasured so much. I did not cry. May be I did not know in truth how to cry. For how long did I sit there looking at the distant skyline through the tamarind leaves, I had no idea. A cool breeze rustled my unruly hair and gently caressed my cheeks. Sometimes one got tired of being strong too. The sun had conveniently chosen to disappear beyond the horizon. The gold in the sky had made way for a pink and purple. From above the branches of the tamarind tree, night was steadily descending like a bear on its hind legs. 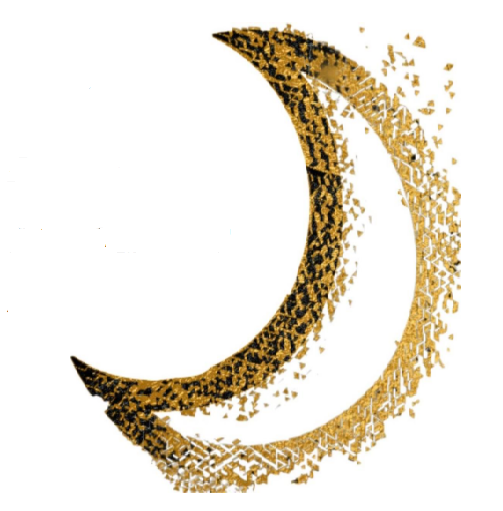 A pale, but splintered quarter moon showed up in the eastern sky. Was a tear or two threatening to roll down from my eyes? 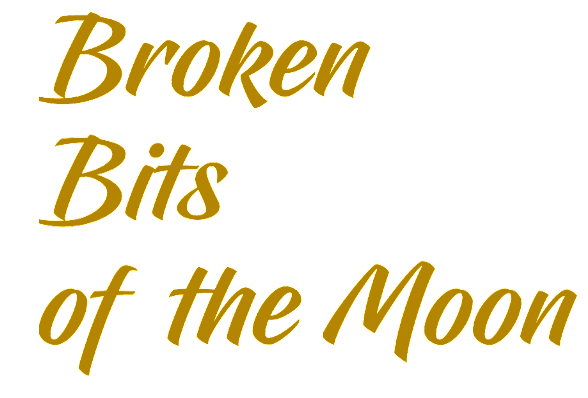 Was that the reason why the moon now appeared in broken bits? I felt drained and fidgety. A rooster crowed from its shelter in Kassim Rawther’s house. I heard Nachiamma calling out my name. I ran towards the house. About 70 Kilometers South-West of Sydney, past the small town Picton, the Queen Victoria Park and an expanse of pastureland grazed by domestic horses and livestock, is Thirlmere. Close on its heels to the West is the Thirlmere Lakes National Park which has found its place in UNESCO’s World Heritage list (under the area Greater Blue Mountains). Apart from the trekking woods, the main feature of the park is three fresh water lakes – Gandangarra, Werri-Berri and Couridjah. These lakes are thought to have formed around 15 million years ago by geological activity, that cut them off from the local river system. The surrounding habitat is forest, spread out over 6 Sq Kilometers dominated by trees like rough-barked Apple, Sydney peppermint and red bloodwood, ideal for trekking, birdwatching and even barbecues. The Heritage Pump Station also sits about a Kilometer into the woods with a bit of locomotive history. In the not too distant past the Pump Station delivered water to Couridjah to replenish the steam locomotives on the old Southern Railway line after their long haul up the steep grade from Picton. The restored sandstone heritage pump house is the only remaining paradigm of a building of its kind. Garcia Marquez was born in Aracataca, a small town near Colombia’s Caribbean coast, on March 6, 1927. He was the eldest of the 11 children of Luisa Santiaga Marquez and Gabriel Elijio Garcia, a telegraphist and a wandering homeopathic pharmacist. Right after his birth, his parents left him with his maternal grandparents and moved to Barranquilla to open a pharmacy. He spent 10 years with his grandmother and his grandfather, a retired colonel who fought in the devastating 1,000-Day War that hastened Colombia’s loss of the Panamanian isthmus. His grandparents’ tales provided grist for Garcia Marquez’s fiction and Aracataca became the model for ‘Macondo,’ the village surrounded by banana plantations where ‘One Hundred Years of Solitude’ is set. “I have often been told by the family that I started recounting things, stories and so on, almost since I was born _ ever since I could speak,” Garcia Marquez once told an interviewer. Sent to a state-run boarding school just outside Bogota, he became a star student and voracious reader, favoring Hemingway, Faulkner, Dostoevsky and Kafka. He published his first piece of fiction as a student in 1947, mailing a short story to the newspaper El Espectador. Garcia Marquez’s father insisted he study law but he dropped out, bored, and dedicated himself to journalism. In 1954, Garcia Marquez was sent to Rome on a newspaper assignment. There he studied cinema, a lifelong love. He later moved to Paris, living among intellectuals and artists exiled from the many Latin American dictatorships of the day. Heavily influenced by the work of William Faulkner, he wrote his first novel at the age of 23 although it took seven years to find a publisher. His flamboyant and melancholy fictional works _ among them ‘Chronicle of a Death Foretold,’ ‘Love in the Time of Cholera’ and ‘Autumn of the Patriarch’ outsold everything published in Spanish except the Bible. The epic 1967 novel ‘One Hundred Years of Solitude’ which took him 12 months to write sold more than 50 million copies in more than 30 languages. In 1982 Garcia Marquez received the Nobel Prize for Literature. He received praise for the vibrancy of his prose and the rich language he used to convey his overflowing imagination. In 2006 Aracataca’s mayor made a failed proposal to rename Garcia Marquez’s birthplace after Macondo, the fictional setting for the writer’s most famous work, One Hundred Years of Solitude. In 2012 Garcia Marquez’s younger brother Jamie said the writer was suffering from dementia. The Nobel prize winner made few public appearances since then and until his death in April 2014. നീയും ഞാനും എന്നുള്ള യാഥാർഥ്യത്തിൽ നിന്ന്, അവസാനം നീ മാത്രമായി അവശേഷിക്കാൻ പോകുന്നു, നീ മാത്രം..
യാത്രയ്‌ക്കുള്ള സമയം വളരെ അടുത്തു കഴിഞ്ഞു. പെയ്യുവാൻ പോകുന്ന കാര്മേഘങ്ങളെപ്പോലെ ഈ ഓർമ്മ എന്റെ അന്തരംഗം പൊട്ടുമാറ് വിങ്ങി നിൽക്കുന്നു. ഈ വാസ്തവം എന്റെ സുഹൃത്തുക്കളാരും അറിയുന്നില്ല. പണ്ടേ പടി അവർ എന്റെ അടുത്തു വരുന്നു, തമാശകൾ പറഞ്ഞ് അവരെ ചിരിപ്പിക്കാൻ നിർബന്ധിക്കുന്നു. അവർക്കു വേണ്ടി എന്തൊക്കെയോ തമാശകൾ ഞാൻ പറയുന്നു, അവരോടൊപ്പം ചിരിക്കുന്നു. എന്റെ ചിരിക്കകത്തുള്ള ദുഃഖത്തിന്റെ മുഴക്കം അവർ കേൾക്കുന്നില്ല. The name Nileena Abraham (https://en.m.wikipedia.org/wiki/Nileena_Abraham) wouldn’t mean anything to the new gen FB frequenters. The two main reasons why they are not being able to relate to that name is because age had caught up with NA, and Mathrubhumi weekly is no more edited by the likes of N V Krishna Variar sir. It was uncle Mubarak who had inculcated the habit of reading to my cousins Amitha and Safar kakka and me. He simply flooded our cognizance with tales from Home…r to Vyasa to Vikramaditya to Bram Stoker to Dickens. I was hardly nine when I and my cousin were circumcised and confined to bed for about ten days. During that short period of convalascence, Uncle Mubarak in his deep resonant voice read out to us Sir C Rajagopalachari’s abridged versions of the Ramayana and Mahabharata. On yet another occasion he recited with alluring endearment Vailoppilli’s ‘Mambazham’ virtually reducing all the three of us to tears. There were two huge glass shelves in our house, both of which contained years and years of back issues of Mathrubhumi weekly and black shiny 76 and 45 RPM vinyl records. We grew up listening to Soja rajkumari (K L Saigal), Piya milan ko lana (Punkaj Mallick), Mera sundar sapna beet gaya (Geeta Dutt), Engane nee marakkum (Kozhikode Abdul Khader), Distant drums (Jim Reeves).. From those dusty racks of worn out magazine pages Nileena Abraham brought to life for three little children, the vibrant literary universe of Bangal in all its splendour without ever spilling over either its pastoral flavour or urbane ambiguities. She had struck a chord with the brush strokes of Bibhuthibhushan Bandopdhyay, may be at a closer proximity than the great Ray himself. Meghamallar (short story) continues to fascinate me in the same degree as it did more than a quarter of a century ago, as also did its illustration by artist AS. During her tenure in Ernakulam Maharaja’s College, a student on his very first day went to meet her. When he addressed her as “Didi”, NA was pleased but at the same time felt curious. What came out of the young admirer’s mouth next kind of bewildered her; “how do you say ‘I love you’ in Bengali”? Peels of laughter broke her answer after every other word, “Didi, omi tumi bolo bhashi”. Like a parrot he repeated the little Bengali he learned just a moment ago: Didi, omi tumi bolo bhashi! When you’re a girl bear, you give birth to your children (who are the size of walnuts) while you’re sleeping and wake up to partially grown, cute cuddly cubs. I could definitely deal with that. If you’re a bear, your mate EXPECTS you to wake up growling and not glowing. He EXPECTS that you will have hairy legs and excess body fat.